One of my favorite features in G-Suite tools is “Revision History.” This features allows you to see what changes were made, when, and by whom. It’s a powerful tool, especially in education. If you have never accessed the revision history, you can do so (so long as you have “editing” rights on a document) by going to File –> See Revision History. This brings up a pane on the right hand side that allows you to see what contributors edited the document and when. If you select their names, it will highlight their changes in the marked color. It’s a pretty cool feature! There are numerous reasons why and educator would want to use Revision History in the classroom. Group assignments are common in the classroom. However, it’s not uncommon for a group assignment to be monopolized by one or two students (either out of necessity or willfulness). By using revision history, you can ensure that group members are all participating in an assignment. A lot of teachers assign work that is due daily but checked sporadically. For example, English teachers often require that students keep a daily or weekly diary, social studies teachers ask for students to reflect on assignments, or science teachers require daily recordings of experiment results. The revision history can tell you when something was added to a Google Doc. When I assign a writing assignment, there are several iterations and revisions. By using the revision history, I don’t need to worry that a hard rough draft is lost or damaged in a student’s backpack or locker. Instead, I can watch the evolution of a student’s writing over several days, weeks, or months. This a powerful tool when teaching writing. If you encourage peer review, revision history can help you to see the feedback and suggestions that students make on one another’s work. This way, you can ensure that they are reading and meaningfully providing feedback. There are many other ways to apply revision history, but these 5 are a great way to get started with the feature in your classroom. This entry was posted in Education, Educational Resources, Educational Technology, Google, Technology and tagged EdTech, Education, Educational Technology, G-Suite, Google, google apps, Google Apps for Education, Google Docs, Technology on June 12, 2017 by Jennifer Carey. 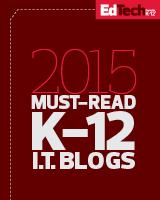 3 Ways Schools can Help Users to Protect their Accounts from Malware, Phishing, & Cyber-scams. nefarious document then gave the sender access to your whole account, including your directory, enabling it to spread. While phishing is nothing new, it has become more problematic and sophisticated. As such, it’s especially important to include some cyber-security basics as soon as students start to have access to digital tools. Most scams are pretty easy to identify. You are sent a typo laden email from someone you don’t know asking you to “check this out.” However, as email spoofing becomes more prominent, it’s important to not just open an attachment even if you know the user. There are a few red flags: the email is full of typos and errors, it doesn’t fit the tone of the sender (e.g. would your teacher be sending an email that says “check this out!”), or it just doesn’t feel right. Yes, updates can be annoying – they take a long time and may require a hardware restart in the middle of the day. However, keep your operating system and security software up to date is essential to cyber-security. While you may not want to update to the latest Windows or iOS software on day 1 (a brand new OS may have a bug or two, as early iOS 10 adopters learned when it bricked several phones), you should do so shortly after the release. Critical security updates should be installed regularly as they plug security holes and fix exploitable bugs. Two factor authentication is a security measure that grants you access to your account or device only after you have presented two methods of authentication (e.g. your account password and a code texted to your phone or sent to an email). It has been around for a while, but many users never enable it. Two Factor Authentication may feel like a pain, but it is the best possible defense against potential hackers or nefarious users. If you have ever been locked out of your account because another user has gained access, you know how difficult it can be to regain access and the damage that can be done to your reputation or your pocket book. Enable two factor authentication on all of your sensitive accounts (bank accounts, email, social media, etc). The extra 30 seconds it takes to log in will be worth it! These are just a few ways that students can protect their devices and accounts from malware, phishing, and cyber-scams. However, as cyber attacks become more sophisticated, network administrators and users must become more savvy. It’s important to keep up your skills and consistently train your community. I encourage administrators to attend cyber-security webinars and workshops, such as ATLIS’s Cyber-Security Workshop in Chicago this summer. This entry was posted in Apple, Digital Citizenship, Education, Educational Resources, Educational Technology, Google, Microsoft, Social Media, Technology and tagged ATLIS, cyber security, cybersecurity, digital citizen, Digital Citizenship, G-Suite, GAFE, google apps, Google Apps for Education on May 9, 2017 by Jennifer Carey. If you haven’t been to Google Arts & Culture lately (previously Google Art Project), then check out some of the new features. I recently discovered that you can organize and search by: Historical events, Historical figures, and Places. As a history and social studies teacher, this is a great feature. For example, if I’m teaching Ancient History, I can do a search for Alexander the Great and pull up a series of images, maps, quotes, and more that are in the Google Arts & Culture database. Likewise, I can search for his famous victory during the Battle of Issus and pull up corresponding works of art. It’s a great tool to explore visual resources on various topics. This entry was posted in Education, Educational Resources, Educational Technology, Google, Technology and tagged Education, Educational Technology, Google, Google Apps for Education, Google Art Project, google cultural institute on April 6, 2017 by Jennifer Carey. “Innovation” — there’s a reason it’s a provocative and powerful topic in the landscape of education. Public, Charter, and Independent Schools are all feeling the pressure from disruptive innovation as well as turning to innovative practices to solve curricular, financial, and recruitment woes. The reality is, we are living in an ever-shifting landscape. Traditional routes of career readiness are no longer reliable, previously “safe” jobs (think accountants, lawyers, and doctors) are now seeing job security fade away, and “traditional” schooling is coming under more scrutiny. The cost of university education is having many individuals rethink the options of pursuing higher education given the relatively flat career landscape facing them on graduation. As such, schools are now looking at innovative practice to help them solve these problems – how can they prepare their students for the jobs of the future (especially if we don’t know what those jobs are)? As a Technology Leader, I am often a part of conversations about innovation. This is not to say that innovation is all about technology, but radical innovation often encompasses employing new technologies. Innovation is challenging… it’s hard. Why? Because it necessitates culture shift and “organizational culture eats strategy for breakfast, lunch, and dinner” — Peter Drucker. Facing the challenges of innovation in my career and public life, I am especially excited about attending this year’s ATLIS conference in Los Angeles, California (April 24-26) as its theme is “Magic Magic Happen” and its focus is on innovation. I know that I will be inspired by the keynote speeches of Jaime Casap (Educational Evangelist) and Tim Fish (Chief Innovation Office of NAIS); both of them have worked with Independent Schools, helping them to innovate their curriculum and institutions. Looking at the posted schedule, I’m excited to learn more about innovative curriculum enhancements such as incorporating coding into the whole curriculum, implementing gamification, and creating new educational spaces, such as maker spaces in the library. Even better than learning about these initiatives, I’m especially excited to learn how to support them at my institution through transformative professional development and creating & fostering a culture of change. This year’s ATLIS conference is the most exciting yet. If you are exploring innovative curriculum and technologies in your school, this is the year to attend! You can still register on the ATLIS website. This entry was posted in Education, Educational Resources, Educational Technology, Professional Development, Technology and tagged 1:1, ATLIS, BYOD, coding, design thinking, Ed Tech, EdTech, Education, Education Technology, educational leadership, Educational Resources, Educational Technology, Equity, G-Suite, GAFE, Google, google apps, Google Apps for Education, Independent School, innovation, Jaime Casap, NAIS, Private School, School, Technology, technology integration, Tim Fish on March 30, 2017 by Jennifer Carey. G-Suite Learning Center is Better than Ever! I am regularly helping people become more acclimated with Google tools. Recently, I went back over to the G-Suite Learning Center and was amazed at its complete overhaul, robust features, and ease of access and use. The new learning center focuses not only on teaching users about its tools, but helping them to migrate from common platforms such as Exchange. Information is organized in a variety of ways: tool, tips and tricks, switching from Microsoft, and (my favorite) use at work. If you’re responsible for training people on G-Suite, this is a great resource for you. For example, if you want to do a training on GMail, select the “GMail” option under “Learn by Product.” You will find a variety of useful instructions, including the “Cheat Sheet” which includes instructions for performing basic functions in GMail. Perhaps the best feature of these resources is that it updates when Google Updates. No more scrambling to create new training resources after the release of a new feature or, worse yet, an updated look! Everything you need is in G-Suite Training. This entry was posted in Education, Educational Technology, Google, Professional Development, Technology and tagged flipped professional development, G-Suite, gmail, Google, google apps, Google Apps for Education, google calendar, google drive, Professional Development on March 29, 2017 by Jennifer Carey. A few months ago, Google began testing a new feature in its Enterprise suite – Team Drives. Google Team Drives are shared spaces where teams can easily store, search, and access their files anywhere, from any device. Unlike files in My Drive, files in Team Drive belong to the team instead of an individual. Even if members leave, the files stay exactly where they are so your team can continue to share information and get work done. If you are incorporating more project based learning into your classroom, Team Drives are a great way for students to collaborate and share, especially on robust projects. In addition to creating content, they can use it to store materials, bibliographies, media, and more. Additionally, as everyone in the group “owns” the product, you don’t run into a problem when one of them tries to submit content via Google Classroom. To learn more about Team Drives in G-Suite, click here. If you do not yet see it as an option for your G-Suite account, contact your administrator. This entry was posted in Education, Educational Resources, Educational Technology, Google, Technology and tagged Ed Tech, EdTech, Education, Educational Technology, G-Suite, G-Suite for Education, Google, google apps, Google Apps for Education, project based learning, Team Drives on March 28, 2017 by Jennifer Carey. If you are anything like me, your Google Drive is a bit of a mess. No matter how much I try to keep it organized, documents and files find their way outside of my carefully crafted and structured filing system. This isn’t just an issue for my Google Drive account. I have this problem in general. Well, the benefit of using Google Drive for your file storage is that you get to use Google’s Search features within you Drive. If you type a key term (like the document title) in the Google Drive Search Bar, it will pull up all files with that title and it will also search within the document for key terms. If you would like to narrow your search further, you can edit features such as: owner (to find that file shared with you by someone else), shared with (to find that document you’re collaborating on), file-type, dated modified, and more. So, even if you’re terrible at organization (like I am), you can always find the file that you’re looking for! This entry was posted in Education, Educational Resources, Educational Technology, Google, Technology and tagged Educational Technology, GAFE, Google, google apps, Google Apps for Education, Technology on October 19, 2016 by Jennifer Carey.